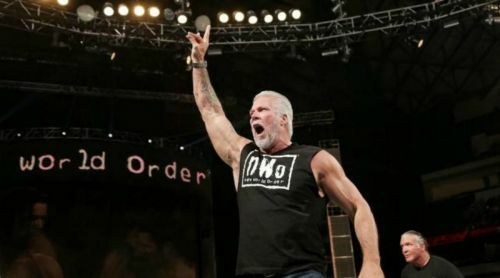 WWE Hall of Famer Kevin Nash has won several World Championships throughout his illustrious Pro Wrestling career and to add to his list of amazing accomplishment, the former WWE World Champion recently captured another World Title in the world of Pro Wrestling. Kevin Nash made his Professional Wrestling debut back in 1990 for WCW, as part of one half of the tag team known as the Master Blasters. Three years later, in 1993, Nash made his debut for WCW's rival promotion WWE (then known as WWF), where he subsequently became a World Heavyweight Champion for the first time in his career. In his return to WCW in 1996, Nash formed the legendary and historic New World Order faction alongside fellow Hall of Famers Scott Hall and Hulk Hogan and the success of the nWo eventually went on to change the wrestling business forever. Nash is also a former four-time WCW World Heavyweight Champion, as well. This past Friday, WWE legend Kevin Nash captured the Big Time Wrestling Heavyweight Championship when he defeated now-former champion Flex Armstrong at the recently concluded BTW event. Despite turning 59-years old last month, Nash is still going pretty strong inside the squared circle and now has once again wrapped championship gold around his waist. Following the conclusion of their match, both Nash and Armstrong also shared their thoughts on the social media, by praising each other via Twitter. Kevin Nash's title win definitely did come in as a big surprise, considering the fact that the man is 59-years old and has been wrestling for almost three decades now. At this point, however, it'll be definitely interesting to keep an eye out for 'Big Daddy Cool's' title reign and the superstars against whom he'll be defending the championship belt against.